Following an extensive and thorough evaluation and review of alerting systems, the City of Rehoboth has implemented the CodeRED system, a high-speed emergency notification service provided by Ormond Beach, FL-based Emergency Communications Network. The CodeRED system will serve as the foundation of the Rehoboth Beach emergency planning and communications outreach to citizens, business owners and city personnel by using the system’s capabilities to send telephone calls, text messages, emails and social media in an effort to effectively inform residents and business owners to protect life and property. 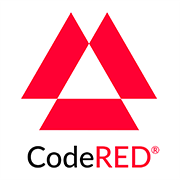 CodeRED, among other notification systems available, was selected for its unrivaled reliability and accuracy, as well as the system’s global use. CodeRED’s robust and progressive system will supply City officials with a reliable, authoritative, easy-to-use platform to quickly promulgate critical information to the citizens of Rehoboth Beach during emergencies. City Manager Sharon Lynn, who is familiar with the CodeRED robust information system, says “this is one of the best tools a community could have to be able to broadcast important and emergency contacts to residents and business owners.” The City of Rehoboth Beach anticipates using the system to notify residents in specific geographic locations of all emergencies including fires, severe weather events and missing children notices. The City of Rehoboth Beach has been provided an initial database of residential and business telephone numbers, however all residents living within the City of Rehoboth Beach limits are encouraged to visit the City of Rehoboth Beach CodeRED self-enrollment site to enroll additional contact information including cell phone numbers, text and email addresses.